Lend us your expertise and weigh-in on the proposals we have received for the 2018 SXSW season during PanelPicker Community Voting from August 7-25. 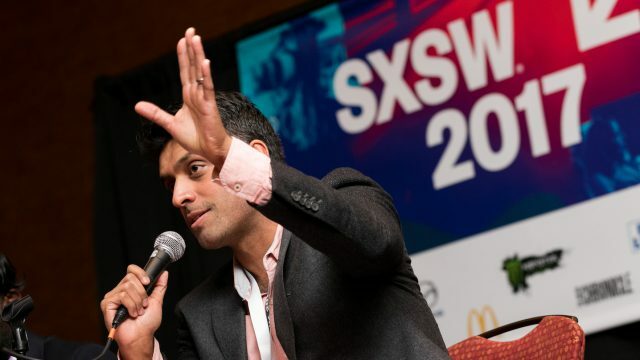 The SXSW Conference includes 24 programming tracks divided amongst Interactive, Film, Music, and Convergence, presented in a variety of session formats. SXSW Convergence programming features a range of topics that straddle the cultural and technological intersection at the heart of SXSW. See what’s new for SXSW Convergence Tracks below, browse submitted ideas, leave comments, and vote on the programming you would like to see at the 2018 SXSW Conference. March 12-13. Learn, strategize, and form partnerships to create more equitable, resilient, and livable cities. The summit features two days of dynamic programming, performance, pop-up exhibits, and events exploring the future of our cities. March 15-17. Earn continuing legal education credit while attending SXSW. March 12-14. New technology has opened up exciting avenues for storytelling and immersive entertainment. Investigate how these experimental strategies are redefining the ways in which audiences experience their world. March 12-14. The Food track explores ways in which technology and innovation can be leveraged to transform the industry. March 10-15. Explore how news, journalism, and analysis is dispersed, how it will be impacted by the future of technology, and how this content will continue to inform and engage. March 10-14. Dive deep into innovative ideas that contribute to a better and more equitable world. March 9-11. Tackle the future of sports in all its forms, from a cultural and technological perspective. March 9–15. These sessions focus on US-based innovation as well as forward-thinking companies and technology ecosystems from around the globe. March 13-15. Discover new technologies and the ways they enhance how we experience the world. Each year, SXSW PanelPicker helps shape the majority of the SXSW Conference programming. Visit panelpicker.sxsw.com/vote and login or create an account to participate in the voting process. If you have created a SXSW account in 2013 or later, you will be able to use the same login and password. Join us for SXSW 2018 – register to attend by Friday, September 8 for the biggest savings of the season. Make your hotel reservations through SXSW Housing & Travel for the best available rates. If you are unsure of which badge is right for you, try taking our Tracks quiz to find out which credential best suits you.